It’s been busy summer once again in CAMBA Country, and although we haven’t made a lot of noise about what’s been going on, there’s been a lot of activity. 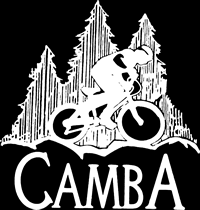 We’ve had a crew of seven doing reroutes, rehab, tread work, sign work, brushing, mowing, and a full array of trail projects all over the CAMBA system (more about the crew later). Work has finally begun on the Hayward Hospital gateway trail (more about that later too.) Weekly Monday work nights have been ongoing at Mt. Ashwabay and full on machine building will resume there around September 1 and continue through the fall. The biggest news is that the first phase of the Ojibwe to Esker connecting trail has been completed. This project will link Ojibwe from just north of Timber Trail Rd. to the Esker Trail at C8 and provide the final east-west connection of the CAMBA system. This would allow riders to start in Hayward, ride all the way to Cable, and then on to Namakagon entirely on singletrack – now that’s an Epic ride! The total connecting trail will be about 2.5 miles or so. The first phase finished out at about 1.4 miles. This new trail takes advantage of one of the most dramatic pieces of terrain in southern Bayfield County. The intent for this trail was to be a full-on flow style trail – open, flowing, fast-riding & fun. And that is exactly what we got! We were fortunate to once again acquire the services of Adam and Mica Harju of Dirt Candy Designs to do the dirt work. The trail was primarily laid out by and the project supervised by CAMBA executive director Ron Bergin. Adam also offered numerous tweaks and suggestions to improve the trail line and features. The trail spurs from Ojibwe about 1/8 mile north of C27 at the eastern crossing of Timber Trail. The first 1/3 mile follows the top edge of a dramatic ridge with a great view of several layers of trail that pass below. There is an optional gully drop along the way. This is a two-way trail at this point. At the end of the ridge the trail wraps around and doubles back on itself to traverse an almost parallel line half-way down the side of the ridge. Along the way there are two gully drops. As this two-way line begins to near the bottom, it surfs through a shallow gully before bottoming out and wrapping around a natural bowl and continuing cross country. This trail allows you to carry your momentum almost the entire way, with only a few pedal strokes necessary to keep you moving along. Back at the top, the two-way line splits with an optional “Most Difficult” line climbing to the top of a long deep ravine and begins a one-way descent, first surfing the upper third of the ravine with a few Gravity Cavity like turns, only bigger and more sweeping. Several jumpable features, rock drops, a table top and a few other features add some spice. The two trails merge into a two-way, flowy trail that crisscrosses a small ridge along a bog. From here it’s flowing cross country riding (with a very nice log ride along the way) until the first phase of the trail ends at a two track road used as part of the Chequamegon 40 racecourse. Turn right here and follow the two track out to Timber Trail Road. Turn left there and follow the roads to Esker Trail. The second phase is scheduled for early next summer and will feature more flowing cross country riding and a set of traversing lines as the trail nears Spider Lake Fire Lane. 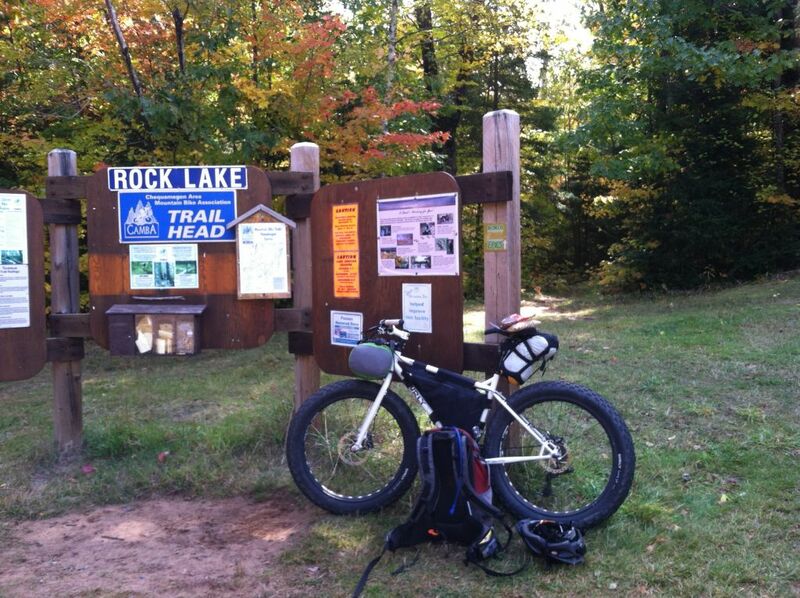 We hope you enjoy this latest addition to the CAMBA trail system. It’s been fun to build and early reactions have been most positive. By the way, we’re looking for a name for this trail. A few suggestions so far include: Esker Extension, Esker X, Ojibwe-Esker Connector, Existention, Flowjob, and Break on Through (to the other side). Got a suggestion? Let us know.